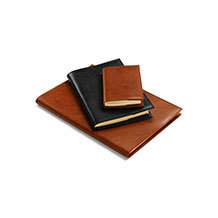 Whether you underscore each day with a journal entry or write when the moment takes you, make the experience of writing a luxurious one with our selection of Leather Journals and Notebooks. 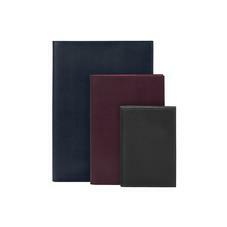 Crafted according to the principals of traditional bookbinding, our journals, notepads and jotters are made from supple leather and filled with thick cotton mix pages. 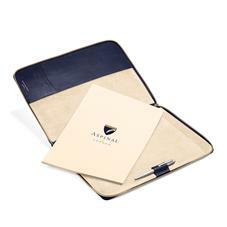 Choose from envelope wrap binding, portable mini notebooks and refillable styles. Embossed initials create a wonderful gift for a keen writer. Aspinal leather journals, travel journals and notebooks are individually handmade in our workshops by master craftsmen and women. Each leather journal is handmade using only the finest premium vegetable tanned leather and traditional book binding skills handed down through generations. 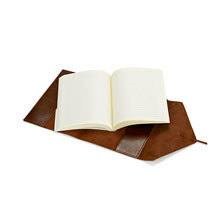 The internal pages of each leather journal is made using only the highest quality cotton and pulp mix and is available in off white cream with lined or plain pages. 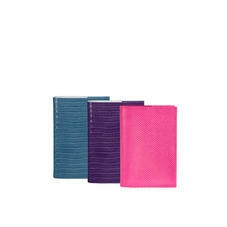 Aspinal offer a wide range of blank writing journals, refillable journals, small and large travel journals, note books, diaries and leather books including the most sumptuous classic English bridle leather and Amazon croc journals, the most gorgeous mouth watering soft-suede and perfect pastel journals as featured in Vogue. 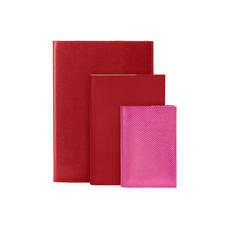 We also make a range of informal Italian leather journals in Italian wrap or envelope wrap styles. 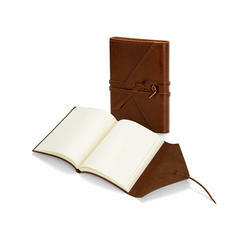 So whether you want a handy notebook or a wonderful leather journal to write your inspired thoughts and memories that will last for generations or a beautiful personalised gift exquisitely wrapped - at an affordable price, you are sure to find it here. And if you don't see what you want please ask, we can usually accommodate! 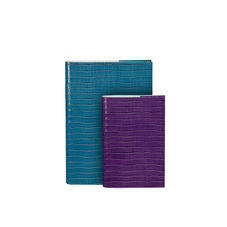 All journals can be personalised and engraved with names, dates etc.